Look no further than AutoTest for all your gas emission solutions. AutoTest’s combined Four/Five Portable Gas Analyser® and Opacity Meter® are user friendly analysis tools designed to improve how the gas efficiency of a vehicle is measured. Distributed throughout Australia, AutoTest’s Four/Five Portable Gas Analyser® and Opacity Meter® is suitable for both light and heavy vehicles. Battery operated, they measure the contents of the exhaust gas and lets you know how efficient a vehicle is at reducing the amount of pollutant gases being released into the atmosphere. The combined device includes a built-in wireless connection between the Four/Five Portable Gas Analyser® and the Opacity Meter®. Smoke tests can be carried out using a PC connected to Gas Analyser, which enables you to easily read measurement data on the screen. AutoTest’s Four/Five Portable Gas Analyser® and Opacity Meter® are designed to respond to the growing needs of various systems and networking in the garage business, aimed at improving work efficiencies and level of service provided to car users. 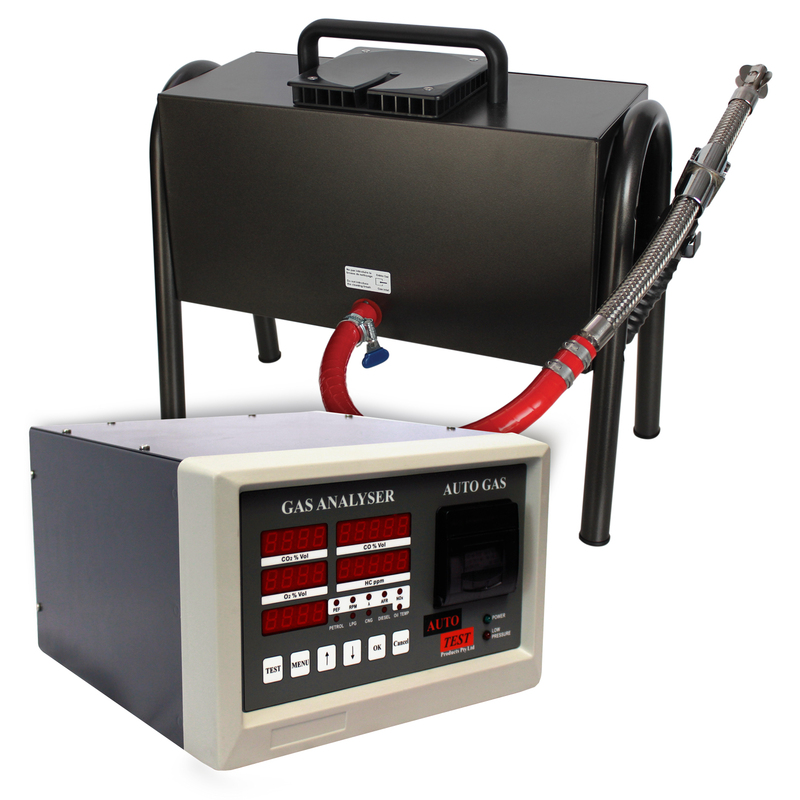 The Gas Analyser and Opacity Meters are part of a large product range of approved equipment offered by AutoTest.